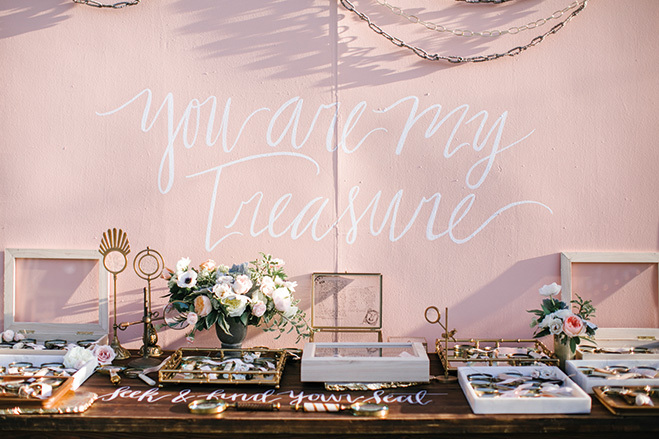 When it comes to telling a couple’s story no one does it quite like San Diego’s wedding planning and event design company Amorology. From game-inspired set-ups to elaborate exhibits, founder Heather Balliet’s creates out-of-the-box displays that radiate personality. “I love to start the reception with something unexpected that gets the guests talking and makes a memorable moment,” explains Heather. In order to capture the couple’s relationship, Heather develops a deep bond with her clients. “We want to capture their voice, so we get to know them really well,” she says. 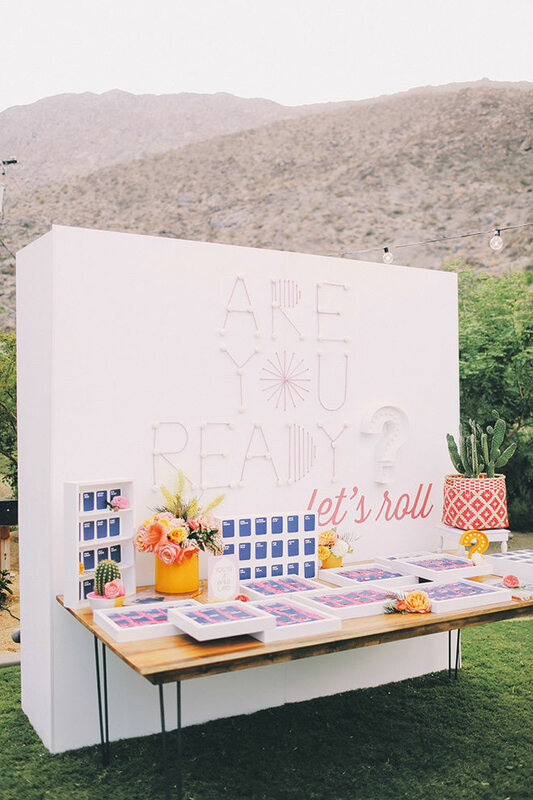 “Sometimes it’s a small thing that the couple says or does that becomes ‘the moment.’ We do a spin on it and pack a huge design punch.” Heather regularly enlists her husband, Troy Balliet of San Diego’s Backup Backdrops, to build the elaborate designs. The end result is the ultimate love note. Katie and Brian Habecost are huge fans of Cards of Humanity so for their wedding at Palm Springs’ Colony 29, this interactive display posed irreverent questions about the couple. Guests found their spot by matching the answers to table cards. As a safeguard, the answer was included in fine print so no one was without a seat! 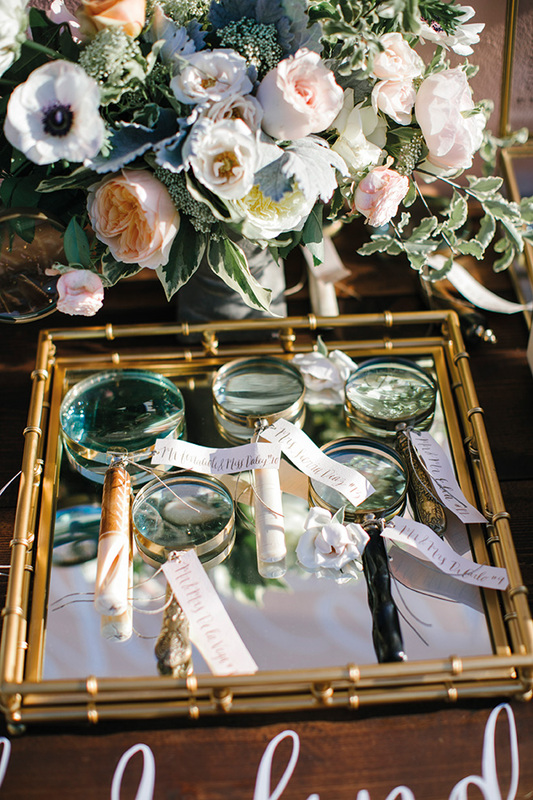 A romantic display of vintage magnifying glasses at Rancho Valencia was inspired by a lost wedding ring. The bride, Erin Pagano, lost her grandmother’s wedding ring at the beach and her then fiancé, Jason, scoured the beach with a metal detector until it was found. 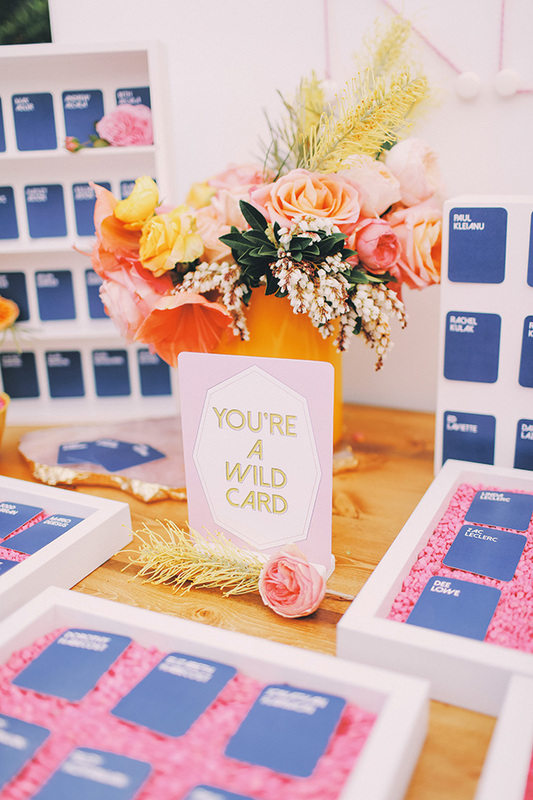 Amorology’s hide-and-seek theme featured table assignments tied to the magnifying glasses—which doubled as lovely party favors. 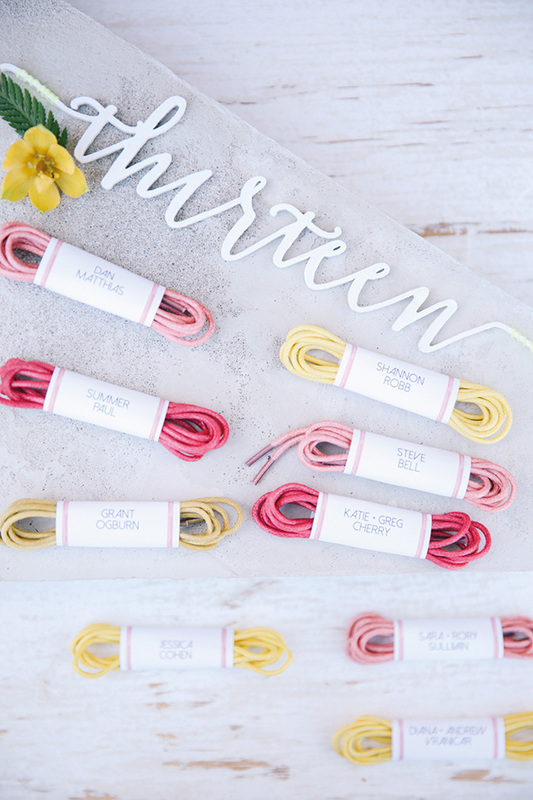 Vibrant colored shoelaces were the perfect nod to runner couple Laurel and Wes Duquette, who wed at Hummingbird Nest Ranch in Santa Susana. 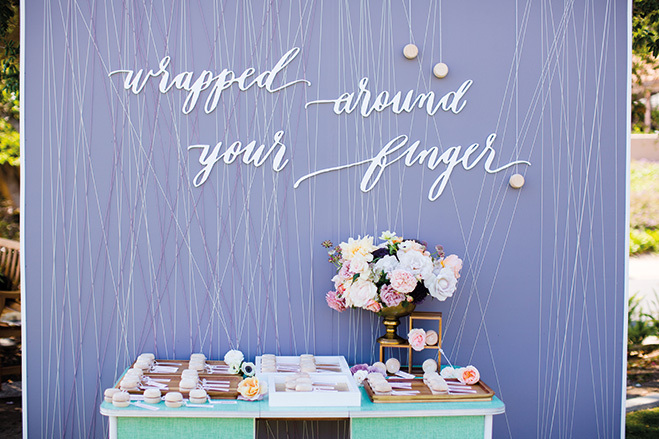 Backup Backdrops created a geometric design that was mounted over shoestrings wrapped with each guest name. Yo-Yo was the nickname Forrest Henderson lovingly bestowed upon his bride Mary Ellen. 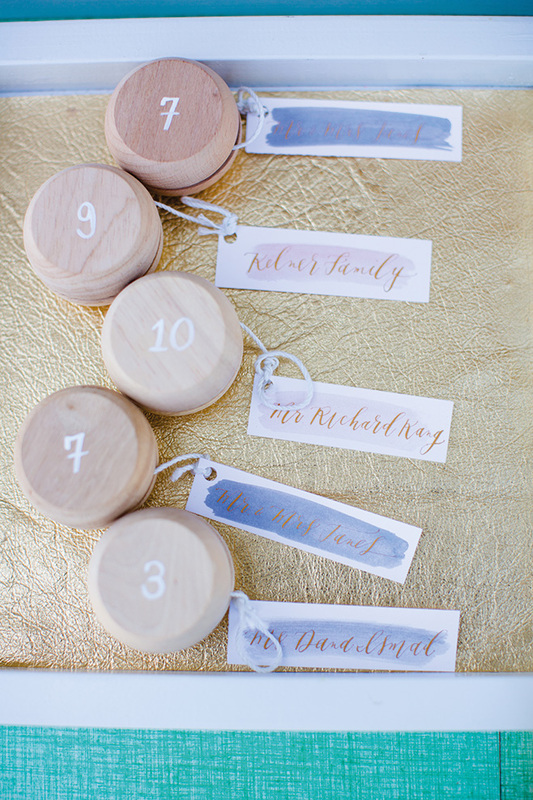 The phrase “Wrapped Around Your Finger” was mounted against an artful tangle of strings over a table of yo-yo’s boasting table numbers and place cards. 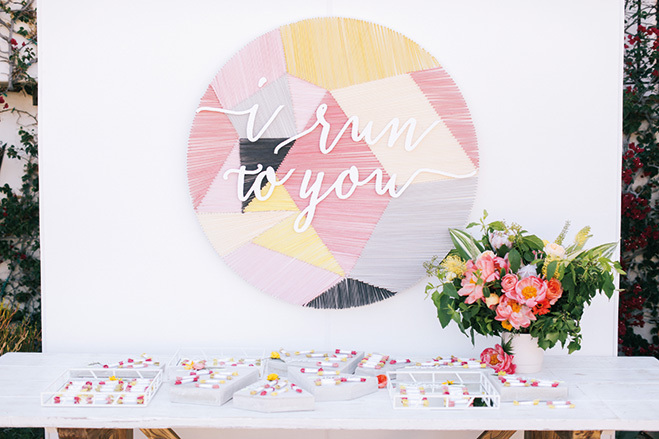 This dramatic installation at a Kate Spade-inspired wedding at La Jolla’s Darlington House told Richelle and Tom Regan’s story. 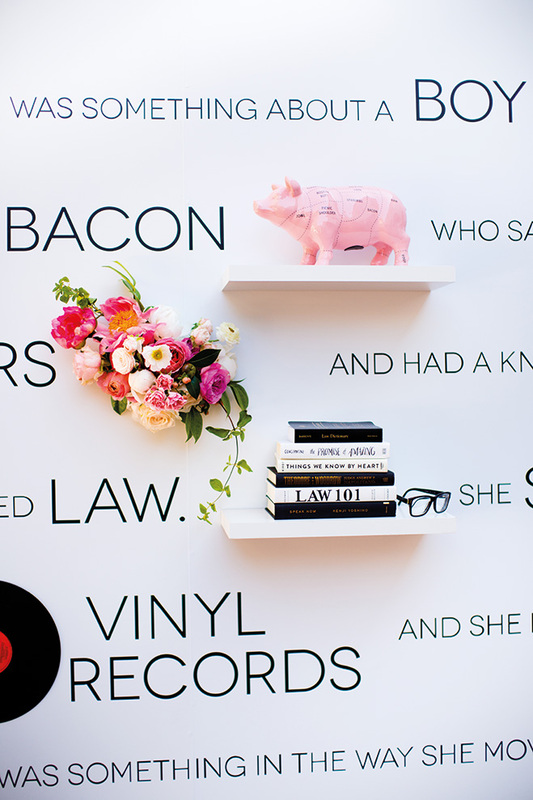 Spanning 12 feet wide by 8 feet high, the wall showcased items Balliet nabbed from the couple, including vinyl records and the brides shoes. It quickly became the focal point for guests--sparking conversation and plenty of Instagram moments.